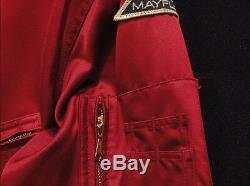 HERO SCREEN USED'MAYFLOWER' SPACE SUIT WORN BY Richard Dreyfuss. 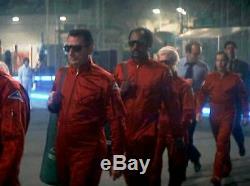 A rare chance to own a museum quality instantly recognizable Hollywood prop/costume. 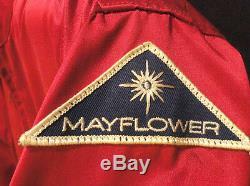 Roy Neary's (Richard Dreyfuss) original Mayflower Spacesuit. 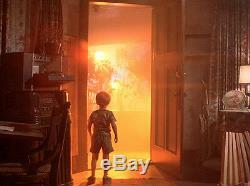 This Jumpsuit from the blockbuster movie Close Encounters Of The Third Kind was worn on screen by. The suit comes with the original Mayflower project and "United States flag" patches on both shoulders. 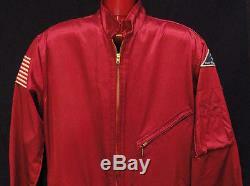 It has a tag sewed in the collar whith the initials R. 1 (Richard Dreyfuss 1) and the size (size 40). The suit was manufactured by. 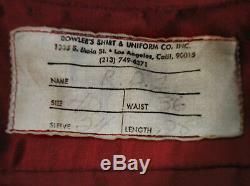 Bowler's Shirt & Uniform CO. A truly rare item from a classic Spielberg's blockbuster movie. Suit remains in excellent screen used condition. Comes with fully documented history. Some expected usage, fading and wear to the piece, otherwise item is in fine screen used condition. More information & photos can be seen at. 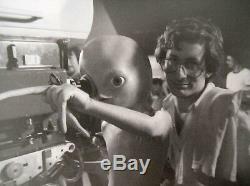 (1975), his first major box-office success, with this epic science fiction adventure about a disparate group of people who attempt to contact alien intelligence. Is an electrical lineman who, while sent out on emergency repairs, witnesses an unidentified flying object, and even has a "sunburn" from its bright lights to prove it. Neary's wife and children are at first skeptical, then concerned, and eventually fearful, as Roy refuses to accept a "logical" explanation for what he saw and is prepared to give up his job, his home, and his family to pursue the "truth" about UFOs. 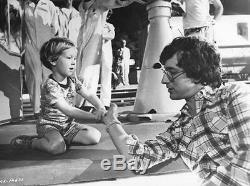 Neary's obsession eventually puts him in contact with others who've had close encounters with alien spacecraft, including Jillian. A single mother whose son disappeared during her UFO experience, and Claude Lacombe. (celebrated French filmmaker François Truffaut). A French researcher who believes that we can use a musical language to communicate with alien visitors. In 1980, a "Special Edition" was released. 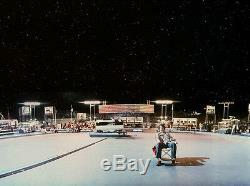 Have a continued opportunity to visit it if it does not sell. Please contact me directly with any offers regarding this. 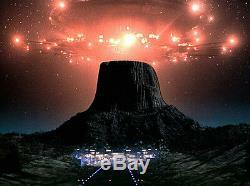 The item "Richard Dreyfuss CLOSE ENCOUNTERS hero screen used movie costume" is in sale since Monday, August 27, 2018.